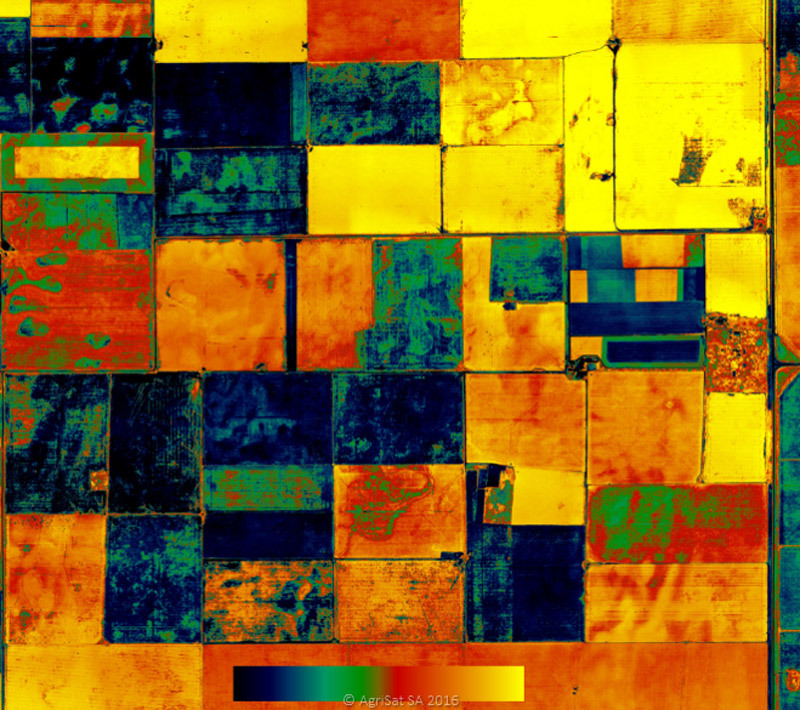 Near Infra Red (NIR) has for many years been touted as the ‘silver bullet’ in vegetation mapping and plant health. The way it works is that the NIR wavelength of light is absorbed by chlorophyll in plants leaves. So, a healthy, vigorous plant will absorb more NIR that one that is less healthy. The NIR camera detects this difference and we display the result using a range of colours we can see based on the recorded reflectance (typically the red colour is used). This data can then be used in several formulae to calculate vegetation indices such as Normalised Difference Vegetation Index (NDVI). 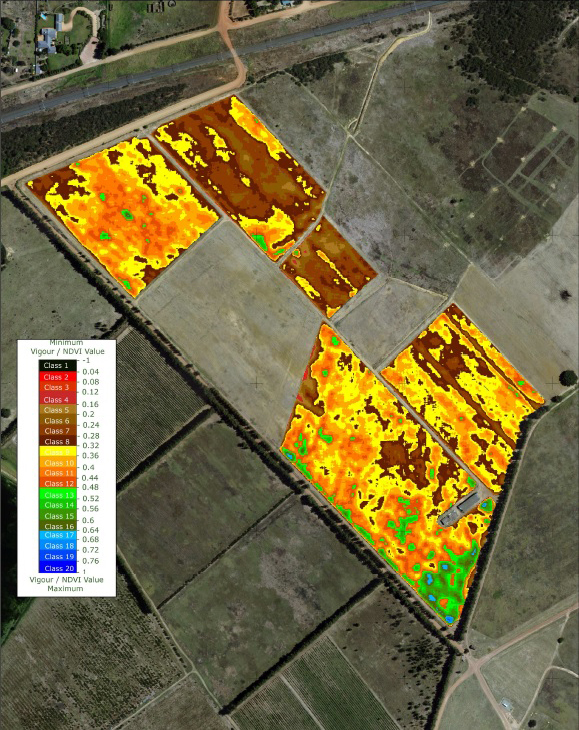 Indices like the NDVI are represented in categories displaying different degrees of plant health (like in the image posted above). The NIR reflectance differs according to the time of day, atmospheric conditions and sensor type. 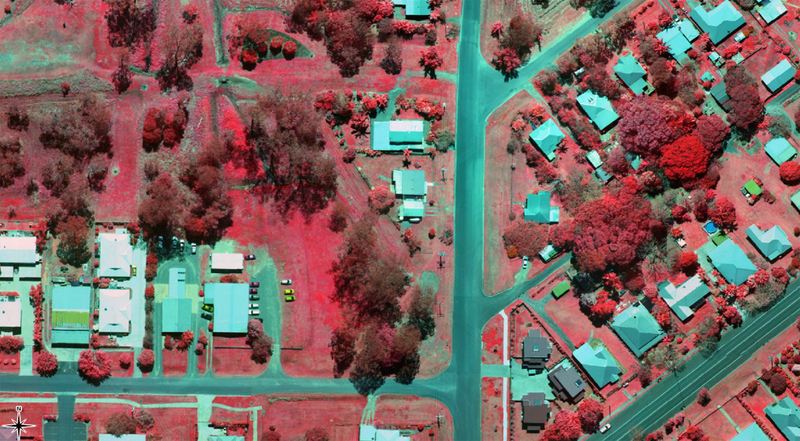 Most aerial survey companies capture NIR at a lower resolution than the colour imagery (RGB) and then use a process called ‘pan sharpening’ to make the NIR appear at the same resolution. Outline captures both RGB and NIR at the same 'native' high resolution meaning that the results are robust and accurate for analysis. 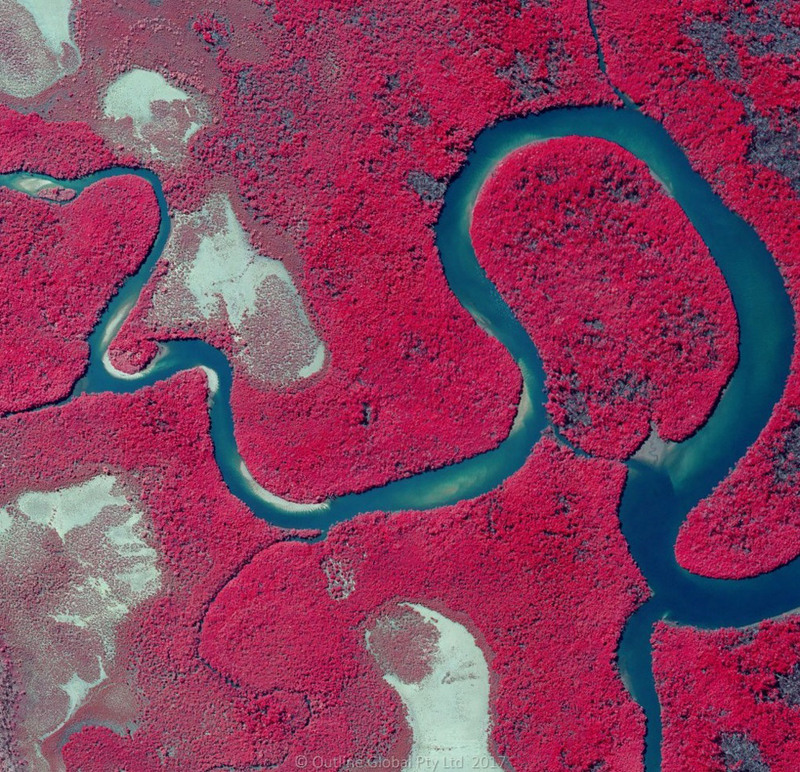 Multispectral imagery captured and processed at native resolution means you get the the best, most scientific results every time.